Do you like taking videos? Are you a professional vlogger? Or are you someone who is starting their journey to make your own Youtube channel? To get started making great videos, all you need is a badass camera. I know why you are here. You just want to find the best camera for you and your budget. To help, we created this list of the Best Cameras to Use for Your Youtube Channel in 2018. If you are looking specifically more portable vlogging cameras, we have a list for that too. Reviewing these cameras has been tricky and time consuming, but below we have done the hard work for you. Our main goal is to highlight the features of the camera and help you pick the one with the best fit for you. Whether you want to monetize your ideas, create high quality videos or just have a nice camera for on-the-go use, the following list will help you make that choice. Setting up a baseline criteria for the selection of YouTube cameras will be of great help. To make your decision making easy we have reviewed 10 of the best cameras. Each camera has its unique features and the reason it stands out amongst its competitor. Our main goal is to illuminate all these features and help you pick your best fit. As we discuss this, our aim is to converge to one great option, which is tailored to solve all your needs in a professional manner. The Panasonic Lumix DMC-G7KK is a fantastic choice for a YouTube-ready camera. The camera is a descendant of the first ever mirrorless camera (Panasonic Lumix DMC-G1) and it has been further improved with this model. The look of the camera resembles a Mini DSLR but it includes all the control points you’d expect from a mid-range DSLR, such as twin control dials as well as plenty of buttons and switches. It looks very nice and the build quality is great. Panasonic are known for their quality cameras and the DMC-G7KK is no different. The design is awesome and the features make it one of the best choices for a youtube camera. The camera is a great all-rounder that would be good to use to capture unboxing videos, vlogging or outdoor footage. The camera designed to be a interchangeable lens camera where you don’t have to think about whether it has a mirror or not if it doesn’t. The DMC-G7KK has great still shot image capabilities, with an ability to capture high quality images of up to ISO 25600 even in low light conditions. Another plus for the G-7 it that it has the capability to record 4K ultra high definition (HD) video. 4K is the way of the future as it delivers an amazing, intense viewing experience, with 4X times more pixels than the full HD. The focusing capability of this camera are also lightning fast and it has a user friendly control touchpad. The touchpad allows you to set any autofocus point by making just one touch. The camera also has an interchangeable lens, accessory options and integrated Wi-Fi sharing. The DMC-G7KK is one of the smallest cameras you can buy with so many of these features. This camera is worth every penny and is the perfect choice for YouTube vloggers who have a medium-sized budget. o Ability to film 4k ultra HD video. Are you a Youtuber who is looking for a small camera that you can use on-the-go? The Canon Powershot G7 Mark II is the new and improved version of the original G7 X that was very popular upon its release in 2014. This original was a really solid camera, but the G7 X Mark II is even better. It is perfect for those who don’t want to carry around a larger DSLR with different lenses but don’t want to sacrifice too much on quality. The Canon Powershot G7 Mark II still has the same sensor as the original – a 20.1 million-pixel CMOS. The camera’s 4.2x optical zoom gives you a huge array of shooting options. The upgrades to this model include the addition of a DIGIC 7 processor, which improves shooting performance upgrades and a faster burst shooting rate. The camera also comes features Wi-Fi, so you can take videos or photos and quickly send them from your camera to your phone for posting to social media. For the under $800 price range this camera really delivers. The camera is a nice handheld size so recording with one hard is possible.This compact size is really handy for making youtube videos as you can hold the camera and film yourself without having to use a tripod. The tilting rear LCD is touch-friendly, and you can also swing it up so that you can view yourself if you are shooting selfie style. The pronounced grip will also help you with shooting for long periods of time. Full HD video recording is included in the camera, however there’s no sign of 4K. This might be a deterrent if you are wanting your videos to be in the best quality possible. The battery life could also be better. If you’re going to keep the camera screen on for long periods of time or you want to use the flash, the battery will die quite quickly. Another big con to the G7 is that there is no built-in viewfinder and no accessory port or option to add one either. Are you a newbie looking for an entry level DSLR camera? If so, the Nikon D3500 might be the camera for you. Nikon has had major success with it’s range of entry-level DSLRs in the past, and the company has continued this trend with the D3500. The camera blends easy handling, solid performance and image quality way better than what you could expect from a smartphone or other compact cameras. You also have the ability with the Nikon D3500 to change lenses as it a DSLR, which makes it even more flexible. The D3300 has one of the best sensors within the price range at 24MP, which allows for the camera to take beautiful still shot images. This is a new sensor that has not been used in any of the other D series. The D3500 has an ISO sensitivity range of 100-25,600, which is pretty wide. Given the pivot to 4K video in recent times it is disappointing to see only Full HD video capture on the D3500. Despite this, the D3500 can shoot at a smooth 60/50p, which makes up a little bit for the lack of 4K. The camera does perform excellently in low light and has superb image quality for the price. The camera could be improved if a touch screen was also included. Nowadays, nearly every screen is touch-sensitive, but if you want this feature you will have to look to more expensive Nikon cameras. The camera is tailor-made for YouTubing, with a light, well balanced body that weighs 15.2 ounces. It would be a great camera to do some selfie vlogging with or capture some outdoor footage for your videos. If you don’t mind not shooting in 4K and want a DSLR camera on a low budget, then this could be the best choice for you. Looking for a tiny camera to capture all the action? GoPro has been the number one brand for action cameras since the release of the original GoPro in 2004. These small and lightweight cameras come in a protective housing that is waterproof and shockproof, which makes them great for filming Youtube videos on the go. The quality of the waterproof case is so great that some cameras have been found on the ocean floor and they still work once they are taken out of their case. If you are looking for a GoPro camera I would recommend the new Black Hero7 model. The Hero7 Black has improved stabilization compared to the previous models of the camera due to the new “hyper stabilization” mode. The camera also has an improved user interface to make it easier to navigate and use. The battery life on the GoPro Hero 7 is also awesome, due to it being a replaceable 1220 mAh, Li-Ion battery. This means that if you are out on a big trip and can’t charge your GoPro you are able to change the battery out to keep on filming. The best feature for Youtubers is the new live streaming option on the Hero7 Black. Being able to live stream straight to youtube allows for this camera to have another functionality. You will now be able to instantly share your footage, which is so, so cool. There are few downsides to this camera if you are looking for something tiny to use in the outdoors. If the camera could improve on anything it would be the battery life, but now you can change it out to a fully charged battery anyway. There are also only small hardware improvements, so if you have a GoPro Hero6 you may not feel like you need to upgrade to this new model. The Nikon D850 is one of the ultimate DSLRs for youtubing. The camera is jammed pack with features that will really help to turn you into a pro. Now, this is a very expensive camrea, but if you are serious about youtubing then it will be a fantastic companion. This camera was introduced to take over from the older Nikon D810 that was a very popular choice. The Nikon D850 has improved in most ways, including incorporating a huge a 45.7MP sensor. This is a big improvement over the previous model that only had a 36.3MP sensor. You also have the option to not shoot at the D850’s full resolution. This could be handy if you are wanting to export your photos or video as quickly as you can. In this mode you can choose between two reduced size options, which are 25.6MP and 11.4MP. The D850 has a new 0.75x optical viewfinder which is the largest ever on an FX Nikon DSLR. It can also handle 7fps burst shooting and comes with a 153-point AF system. Youtubers can rejoice, the camera does shoot in 4K! This means that the camera will be able to be a complete all round option for youtubing. You can also create a full resolution time lapse videos, which handy if you are wanting to make timelapse content. The battery life of this camera is also epic, so if you have the money to spend this camera should be near the top of your list. Despite the great features this camera is very, very expensive. If you are just starting to youtube this isn’t a camera we would recommend. There’s no question that the Nikon D850 is built tough and will be able to handle the hard life that comes with professional use. The Sony A7 III is great choice if you are looking for a mirrorless camera that is available on the more affordable end of the price spectrum. The camera was first released in April 2018 and has quickly become one of the most popular cameras of the market due to it being more affordable than most mirrorless options that are currently available. The A7 model from Sony is usually regarded as the basic model of it’s mirrorless range that lacked features. This version flips that narrative as has the range of the A7R III and low-light performance of the A7S II, all for well below the price of those models. The Sony A7 III is equipped with a brand new new 24MP sensor that offers excellent image quality that will be perfect if you are taking still images for Youtube. The camera also has an outstanding dynamic range and outstanding high ISO performance. The build quality has also been improved on previous models and in your hands it feels solid and reliable. The JPEG colors and fast autofocus really stand out and the battery life is really good too. The 4K video inclusion is also perfect for youtubing and it is great to be able to shoot this high quality video in a relatively small camera. Unfortunately there is no dedicated battery charger included in the box and the menus are still quite confusing like previous cameras in the A model line. The camera also does not have a built-in flash, which may be an issue if you shoot a lot of video with the flash on. No built-in flash. Overall the Sony A7 III is a great camera for Youtubers who have a little money to spend that are looking for an affordable mirrorless camera. The original Canon EOS 6D first came out in 2012 and was an affordable entry point to full-frame photography and videography for budding photographers and videographers. The photography community has been calling for a newer version of this camera for a few years now and they got their wish when The Canon EOS 6D Mark II was released. This Canon EOS 6D Mark II has an improved design, operational speed and performance with many new features. Firstly, the camera has rounded edges and a new button layout that makes it very easy to use and operate. You will find it very comfortable if you have to carry it around for long periods of time. One of the biggest upgrades to the EOS 6D Mark II’s is that it comes with a brand-new 26.2-megapixel sensor. This is a huge improvement to the camera’s resolution from the old model, which had just a 20.2 megapixels. The new sensor brings the camera in line with other rival brands who have entry level cameras, such as Nikon and Sony. The best thing about the new sensor is that it can deliver fast phase-detection autofocus even in Live View mode. This means that when you are shooting in Live View and movie mode the autofocus should be faster and smoother than the older EOS 6D Mark I which had a much simpler autofocus system. It will also be a great camera to use in low light conditions, with the camera having an ISO range of 100-40,000. The EOS 6D Mark II doesn’t have 4K video, which is a bit of shame. I think Cannon did this because some of the more expensive cameras they have do come with 4K video. As this is the basic model, they want to make 4K video available in the next price points. Despite not having 4K the camera does shoot full HD video at up to 60fps. It also has in-camera five-axis digital stabilisation, which is the first time that technology has been used in a Canon full frame camera.Overall EOS 6D Mark II is a great starter DSLR. If the camera was a little cheaper and it had 4K video capabilities it would be a must buy, but it is still a good choice for youtubers who have a little bit bigger of a budget. If you have a little bit more money to spend and need to shoot in 4K video then I recommend the Fujifilm X-T3. This is the best mirrorless camera that Fujifilm has ever produced. There are so many great features that come within it’s very small housing. Like other Fujifilm cameras, the X-T3 has a very cool retro design that is a throwback to simpler times. This design is also weatherproof and it has the feel of an analog film camera. Its body is nearly identical to the previous X-T2’s, but it does feel a little better and more solidly built. The X-T3’s left-side door is where you will find most of the inputs. There is a mic input, headphone jack, USB Type-C port, and HDMI. Including USB-C is a really good choice by Fujifilm as that technology will be the most common moving forward. There are also two SD slots occupy the right side door of the camera. It has Wi-Fi and Bluetooth so you can easily share photos and videos from the camera to a smartphone. You also have the ability to use a supported battery pack with the camera if you run out of battery when you are on the go. Each button on the camera can be customized so that you can save your most used features and settings to save time from navigating the camera’s menu. The LCD is the same size as the previous model, but it is not a touchscreen. This means that if you are framing a shot with the screen you can simply tap anywhere on the screen and it will focus. This camera is very well suited to youtubing, which would be the reason you would be buying it. You can shoot 4K footage at up to 60 fps on it, and you can select a bitrate of up to 400Mbps for frame rates of 30p and below. This is very good and will allow you to get some very high quality footage. This camera is really good value for money. The compact size also means that you will be able to film discreetly when in public, which sometimes isn’t possible with a bulky DSLR. The major missing feature of the X-T3 is in-body stabilization and the grip is a tad small, but despite this it is still a great choice of a camera for Youtube enthusiasts. The Olympus OM-D E-M10 Mark III is another great value mirrorless camera. The travel friendly size camera looks and feels like an older retro model but the features are so much more than just taking a photo. The build quality is really solid and in your hands it feels like a durable camera. While the camera doesn’t have a normal size sensor (rather a smaller Micro Four Thirds) it is still way bigger and better than sensors found those in regular compact digital cameras and smartphones. Although the image quality won’t be as good, the advantage of the smaller sensor is the lenses are small too. It is common for mirrorless bodies to be small, but the lenses aren’t. The lenses that are used with this camera are small, which is a clear advantage for travellers. Although the camera is small it still packs in a lot of features. It has a touch-screen, touch-focus and touch-shutter options and the dials have a firm feel and the controls don’t feel cramped. The viewfinder is another winner as it is clear, bright, colourful and lag-free in good light. Yes, the camera does shoot in 4K video so it will be a great option for youtubers who want a professional quality. The camera is able to both mechanically and digitally stabilize, which is very cool and useful. Usually most cameras can only digitally stabilize in 1080P, so this makes the footage taken on the OM-D E-M10 Mark III extremely smooth footage, even when the camera is moved around. The weaknesses in this camera are more on the still-shot side: it struggles to stay focused if shooting fast subjects and there is a little bit of a harsh JPEG sharpening. Overall though, this is a great product from Olympus that should he considered if you are looking for a small sized 4K camera for Youtubing. The Panasonic Lumix GH5 is tailor made for Youtubing and is one of the best cameras currently available before you move up into dedicated video cameras. The Lumix GH5 is a mirrorless cameras and this line has c out a niche for among videographers thanks to their incredible movie-making features. The Panasonic Lumix GH5 features a 20.3MP sensor that the company claims is different from the sensor in the Lumix GX8. The GH5’s sensitivity range has improved on the previous GH4’s by adding a stop at the bottom end of the range. The ISO now ranges from 100-25,600 compared to 200-25,600 on the GH4. The electronic viewfinder has also had a quality upgrade and now features a impressive 3,680,000-dot resolution and 0.76x magnification. The big talking point from the GH4 was the ability to take 8MP still images from 4K footage.The GH5 takes this idea even further, with the camera featuring “6K Photo” which Panasonic says will be possible to extract 18MP still images (at either 4:3 or 3:2 ratios) an unlimited burst rate. It also has built-in Wi-Fi and NFC, and a low-energy Bluetooth connection. This bluetooth can establish a permanent connection between the camera and your smart device so it will be very easy to transfer photos or videos across to it. Now for the video. The Lumix GH5 allows you to shoot Cinema 4K (4096 x 2160) at 60p with a bit rate of 150Mbps. A nice touch that was included is color subsampling at 4:2:2 and a color depth of 10-bit. These specs will give you greater color information and richer graduations. You can also shoot full HD too up to a very impressive 180p. The camera also has a headphone output and an input for a microphone so you can capture fantastic quality audio to go with your amazing videos. While this camera is awesome for video, the Image quality isn’t class-leading. Thank you for making it to the end of the review on the best cameras to use for Youtube. Before you buy your new camera, here are some basic facts we want you to consider. Your budget and the price of the camera. Features of the camera in relation to your needs. How, where, and when you will be taking the videos. Other accessories you might require. Before high-end DSLRs conquered the market, a point-and-shoot digital camera was the type of that people usually owned. They are small, portable and produce high-resolution photographs. So, if you’re the type of Vlogger who loves to travel but doesn’t want to carry a heavy camera, a point-and-shoot will be camera to grab! Another portable camera is an action camera such as the GoPro Hero7. These cameras have a compact design that can record high-resolution wide-angle videos. They are also waterproof or environmental seal to make it more durable. DSLR cameras are the most common camera Vloggers used for their YouTube videos. It isn’t surprising, because they produces superb image quality. They also have interchangeable lenses that can help users to achieve their perfect shot and control camera settings such as focus, depth of field, and ISO. DSLR are still number one but mirrorless cameras are slowly entering the market. The differences to DSLR camera are that it doesn’t have a reflex mirror, they are much lighter and smaller. Image-wise, the quality is still great and they produce the same high-resolution image just like DSLRs. Carefully read through your cameras manual. Always ensure your camera is stable before the shooting. Before the actual shooting, practice on your shooting techniques. If your camera doesn’t have an external microphone port, secure an external recorder. 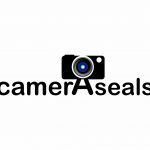 Follow all the instructions on how to clean and maintain your camera. Able to shoot high quality still images. Have the capability to shoot quality videos in low light conditions. The camera should have either Wifi, Bluetooth app or 3.0 USB digital port. Light enough to be carried anywhere. The shooting speed should be high enough to enable capturing of fast moving moments. Based on our research and reviews, we can proudly say that the Panasonic Lumix G DC-GH5 sits at the top. This camera ticks all the boxes to be the best YouTube camera. It has high-speed auto-focusing technology, capability to shoot 4k videos, superb DSLM quality and a WIFI app which is very helpful to anyone with vlogging passion. The camera controls are user friendly and won’t overwhelm even a newbie. Panasonic Lumix G DC-GH5 is easily accessible and presents good value for every penny you spend. If you want a camera that is number one for youtubing, choose the Panasonic Lumix G DC-GH5. The camera is easily accessible and present good value of every penny you spend on it hence a 4.5/5 in terms of accessibility. If you are not very budget conscious, you can spend on this top notch product. It will deliver quality and help you pursue your passion in a professional way.